I was hoping to pass on a little information regarding George Claytor, in response to Mr Ken Anderson’s e-mail of 24 June 2016. However, I’ve just discovered, via a circuitous route, that Mr Anderson sadly died in June this year, and I wish I’d seen his post so much earlier. George Claytor was born 10 Sept 1876 (died 20 Oct 1959, Nottingham). He was the eldest son of 9 children of Henry Claytor, a former Miner, later Colliery Deputy, Under Manager, and latterly Landlord of the Crown Inn, Clay Cross, and his wife Elizabeth (nee Cook), and was the eldest of my Great Uncles, my Grandmother being his youngest sister, and the 8th of 9 children (1 died aged 7 weeks). Prior to his admission to Old Tupton School, Year 3 in May 1886, George was a pupil at Clay Cross Iron Works School. He left Tupton School 09 Nov 1888. In the 1891 Census he was living in Old Tupton, Clay Cross, and listed as a Coal Miner (age 14) when his father was listed as a Colliery Deputy, but at which pit I do not know. In 1901 he’s still a Miner but living in New Street, North Wingfield. In 1911 he is living in Hepthorne Lane, North Wingfield, listed as a Colliery Deputy. 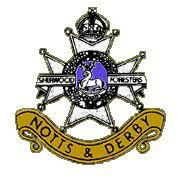 He signed up with the 11th (Service) Battalion Notts & Derbyshire Regiment for the whole of WW1, (Regt. Num 6977) reaching the rank of CQM Sgt. (Company Quartermaster). He first served in France from 27 August 1915 being at the 2nd Ypres battle for Passchendaele, and also saw service in Italy from November 1917 before returning to the French front. He was awarded the Meritorious Service Medal for services in Italy, in the New Year’s Honours List 1919 and transferred to the Army Reserve 19 Jan 1919. He received the Victory, British & Star medals. In 1928 he was working with Erewash Coal Co, and had links to Clifton Colliery, Nottingham and was living in Lenton, Nottingham. I’m afraid that his Grandson, Robin, who would have known him and would probably have known more about his mining history, died in October 2013. 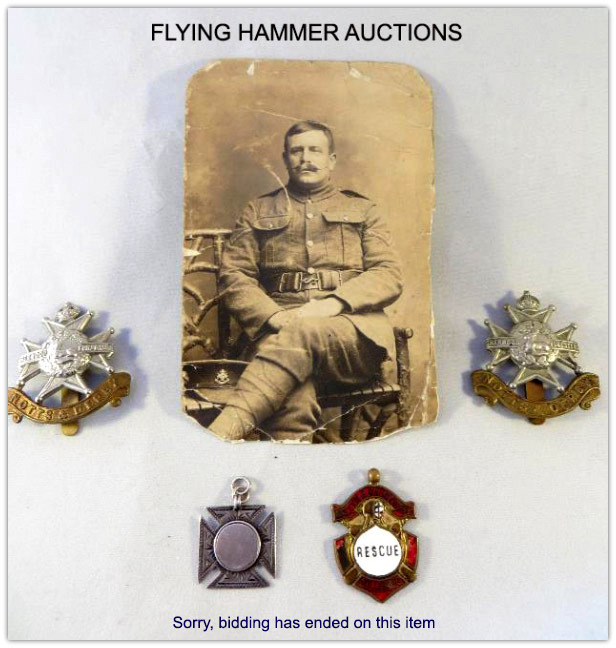 (I presume that his estate is from where the medals were sold). I know a bit more about George’s father Henry, and his next brother Robert, than about George. Henry was Under Manager at Clay Cross No 4 Pit 1894-1902. After leaving mining (30 years with the Clay Cross Company), Henry was granted the License of the Crown Inn in February 1903 until his death in Feb 1908 (thence taken over by Elizabeth). Robert was a pit boy at the age of 14 but rose to be Managing Director of Mitchell and Shipley Colliery Companies. George is also the Great Uncle of another contributor to your site, Mark Claytor (we’ve never met or corresponded), his Grandfather William was George’s 4th brother. Dear Sir I have a mines rescue medal, I bought. Can you tell me where l may find out any of this persons, mining history, colliery etc. 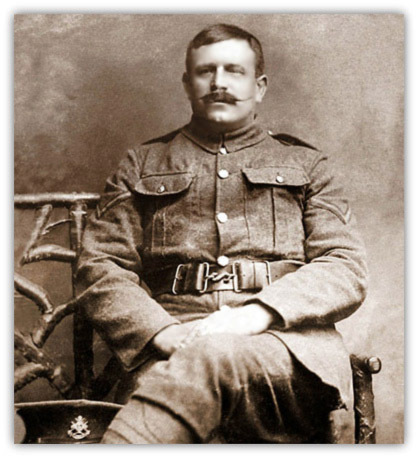 I know he was born 1877 in Clays Cross, and served in The Notts and Derby Sherwoods during WW1. 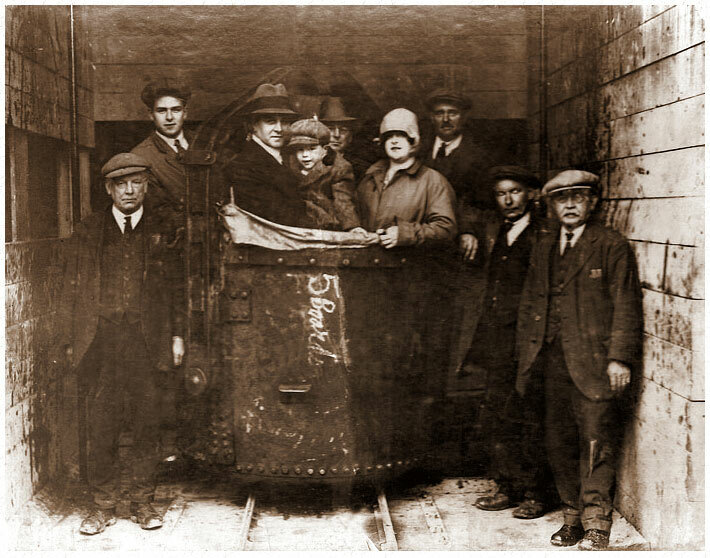 Hi, You may be interested in this image of my father Robert Claytor in the bucket with his father William Claytor (Colliery Manager), Mother Jessica Claytor and Brother (top left) at the opening of a shaft at Shipley Colliey circa 1929. The picture is probably of the Mickley Shaft at Coppice Colliery, as was. The shaft was completed in the late 1920s. My father, Ray Wyles, was a blacksmith and shaftman at Coppice so would have been used to riding the shaft on top of the cage during shaft examinations.